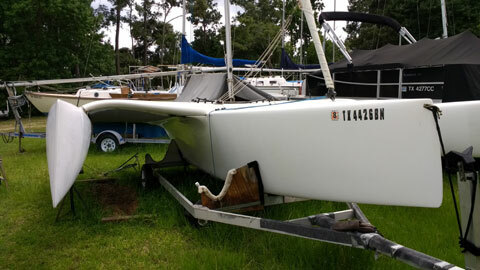 Multi 23 in great shape. 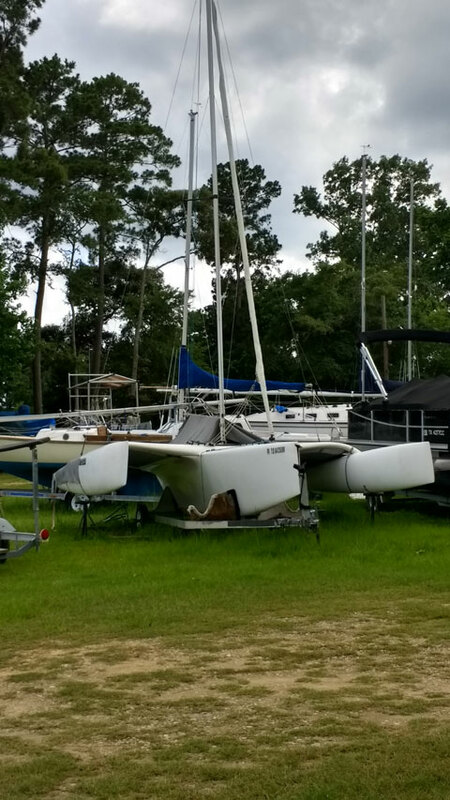 The multi 23 is a safe, fast, exciting trimaran. The video is of a newer boat with a couple of tweaks but I have had similar sessions on the boat that is up for sale. It features carbon fiber where it is important (the bottoms of the hulls and the cross members supporting the amass). This results in a stiff boat which is a blast to sail. 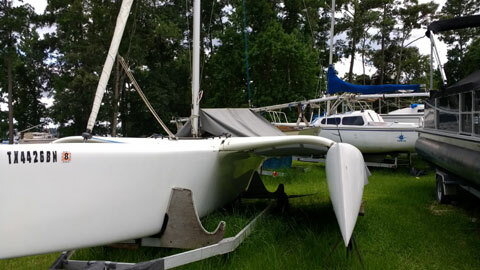 This boat is set up for an asymmetric spinnaker but could be easily converted back to a more standard screecher. 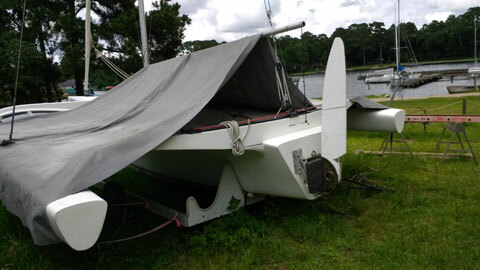 Mylar square top main and jib in almost new condition (Calvert). Elliot Patterson (EP) main and jib for everyday sailing (good condition). EP spin (perfect) + Calvert spin (a tear that has been fixed otherwise new condition). 2hp air cooled Honda 4 cycle motor. The boat is around 700 lbs with boat and trailer less that 1000. I trailered it back from Florida with a Volkswagen Jetta. This boat is set up for an asymmetric spinnaker but could be easily converted back to a more standard screecher. The boat is around 700 lbs with boat and trailer less than 1000. I trailered it back from Florida with a Volkswagen Jetta.